Confirming our previous reports, BMW is already setting up its Dingolfing plant to manufacture the G30 5 Series starting this October. The new model will be delivered to its first customers in early 2017, after being introduced to a live audience for the first time at the Detroit Auto Show. However, since the 3 Series and 4 Series models are also assembled in Dingolfing, some of the production for the 5 Series will also be handled by Magna Steyr in Graz, Austria. This will be the second time BMW commissions their Austrian partners to build blue and white roundel models, after the BMW X3 was also built there between 2003 and 2010. At the moment, the MINI Countryman and the MINI Paceman are being built there, as well. But the Paceman will go out of production soon, so more room will open for the new 5er. “Dingolfing will remain our competence centre for production of upper-class BMW series,” according to Oliver Zipse, member of the Board of Management of BMW AG, responsible for Production. In addition to manufacturing all BMW 7 Series and BMW 6 Series models, the site will continue to produce all variants of the new BMW 5 Series and also serve as the lead plant for the BMW 5 Series’ international production network. “The high level of flexibility within our global production network and reliable cooperation with our partner, Magna Steyr, will enable us to respond swiftly to the strong customer demand we anticipate for the world’s most successful business limousine,” added Zipse. “We are delighted to have a highly-professional partner like Magna Steyr produce this successful model for us. 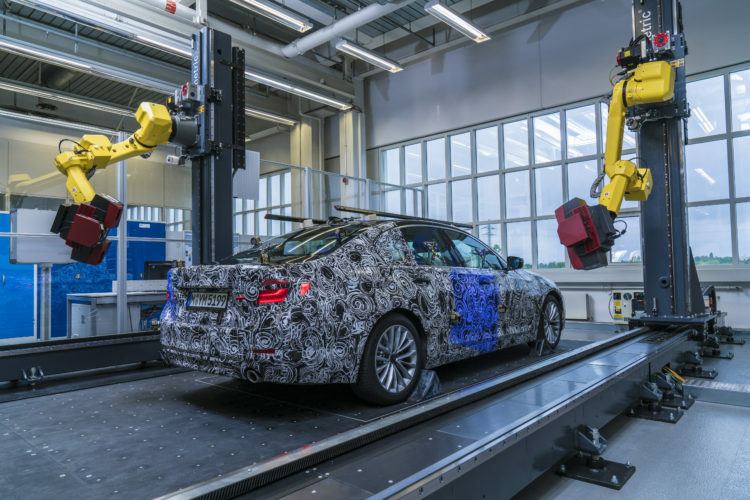 They will certainly benefit from our years of experience building the BMW 5 Series: Our staff here in Dingolfing will work very closely with the plant in Graz,” said Dingolfing Plant Manager Josef Kerscher. In preparation for the new model, there has been extensive refurbishment and construction in all technologies at the Dingolfing plant in coming months. Several hundred million euros have been invested in measures including a new body shop to the west of the plant and restructuring of drivetrain unit installation at the vehicle assembly facility.